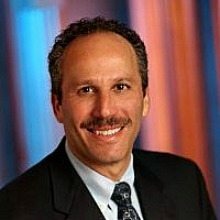 DMI, a leading provider of mobile enterprise and big data solutions and services, has appointed Larry Silver as Vice President of Business Development, Federal Mobility. In this role, Silver will further the company’s growth by leveraging his relationships with various government agencies to familiarize the public sector with DMI’s full suite of mobile enterprise solutions and services. Silver will also focus on developing integration strategies and counseling government partners on how to efficiently, effectively and securely migrate and manage their mobility infrastructures. Silver has more than 30 years of senior management and government sales experience at several top wireless communications companies including AT&T, a Microsoft-Qualcomm joint venture and Federal Data. Prior to joining DMI, Silver was the director of U.S. government sales at BlackBerry. During his tenure at BlackBerry, he led BlackBerry into almost every federal agency, significantly increasing company revenue, and helping to secure worldwide contracts with Fortune 100 companies.